Healthy Eating begins from your baby’s first mouthful. Using the healthy Eating range of cups, bowls and cutlery alerts your baby’s senses and makes mealtimes fun – feeding your baby 5 plus a day has never been easier. This world famous beaker has a leak-proof valve that is easy to drink from and easy to clean. 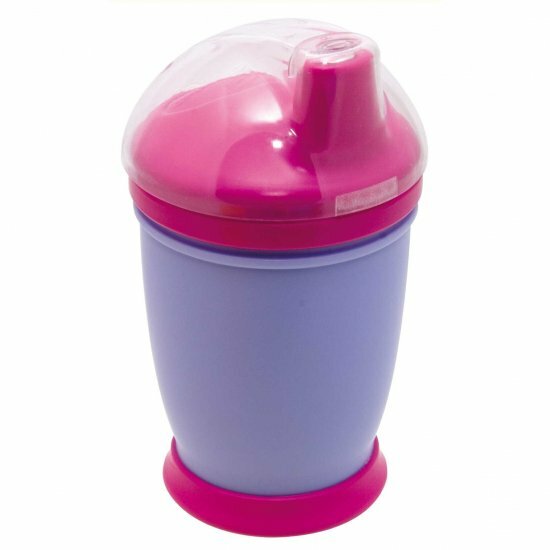 Its spout and base are soft to the touch, so it’s gentle on your baby’s mouth and easy for little hands to hold. Before use wash in warm soapy water and rinse well. Avoid using sharp or abrasive materials when cleaning. The Amadeus range of Healthy Eating cups, spoons, and bowls are BPA free. Click the button below to add the Amadeus Leak Proof Beaker to your wish list.